Mr. Nassir Ali Kadasa is the Chairman of KADASA Intellectual Property. 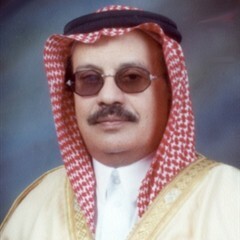 Nassir Ali Kadasa, a Saudi Attorney is a founder of Kadasa group. Mr. Kadasa established the firm in 1981 and since then is actively engaged with the firm practice. Mr. Kadasa has the distinction of being the first Saudi Attorney to prosecute and win first trademark and patent infringement lawsuit on behalf of a foreign entity against a national infringer in Saudi Arabia. He is a renowned Attorney in field of Intellectual Property, Commercial Laws, Arbitration and Shariah Law with a practice spanning over 40 years. Mr. Kadasa has represented multiple foreign entities in successful patent infringement, opposition, trademark infringement, cancellation actions, and criminal actions. He remained engaged in advising Saudi government on multiple WTO issues pertaining to Intellectual Property Rights and has played a vital contribution in reviewing local IP laws. His practice has shaped many leading precedents in field of IP and his contribution is widely acknowledged in Saudi Arabia for shaping local IP regime. Mr. Kadasa has represented over more than 20 multi-national pharmaceutical companies in Saudi Arabia providing different legal and administrative services. He is also representing leading Saudi government and private organizations in different area of work including Saudi Stock Exchange (Tadawul), AL-Mawarid Group, King Saudi University, THIQAH, and Gulf Union etc.